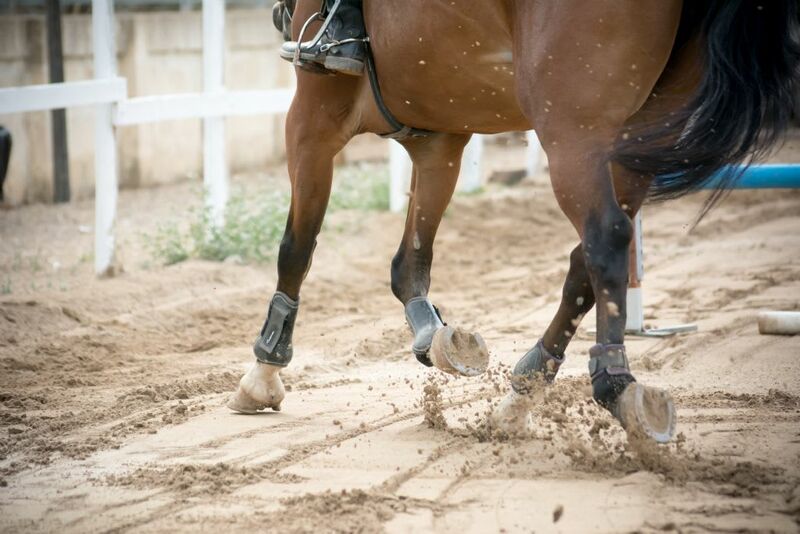 Poor hoof quality can be observed as obvious flaws such as cracks, chipped toes or flares which are usually treatable with corrective farrier work. However subtle changes in the hoof wall, for example ridges and rings can tell owners of potential health issues. Hoof Rings: Also known as growth rings, they are usually seen in healthy hooves as a result of a dietary changes. Often found in ponies or horses on forage-based diets from seasonal variations due to a shift in cellular production. Hoof Ridges: The formation of defined ledges or lumps on the hoof wall. They can be associated with laminitis or nutrient toxicity. Malnutrition will affect hoof quality, the hoof may continue to grow at a normal rate, but the quality of the hoof will significantly decrease due to insufficient energy and nutrients. Research showed that 50% of ponies had an increase in growth rate in a positive energy balance compared to restricted diets. To improve hoof quality and growth the diet must move from a negative energy balance to a positive one, malnourished horses will use all nutrient sources available for maintenance of normal body functions. Protein is an important part of any diet, with 93% of the hoof wall consisting of a protein dry matter basis. Essential amino acids are required to be supplied by the diet, they are present in sources such as soyabean which is known to be a high-quality protein source. Amino acids such as methionine, cystine, threonine or phenylalanine all contribute to hoof quality. The most commonly known nutrient and often recommended by farriers to improve hoof health is the B-vitamin, Biotin. Its function is to improve the growth of new hoof horn, it’s important to note that some horses react differently to supplementation. 1-2mg of Biotin per day is the recommended daily inclusion often found in commercial feeds. Studies have shown that 15-20mg daily supplementation can have positive effects on hoof quality and growth. Biotin is an essential coenzyme in carbohydrates, fats and protein metabolism, it also has an important role in the function of the reproductive tract and nervous system stability. Biotin is commonly added to commercial feeds due to the higher nutrient uptake in the upper digestive tract compared to the hind gut. It is naturally occurring in oats, soybean meal, alfalfa, rice bran and molasses, but is mostly derived in the diet during the fermentation process of fibre. Factors affecting the normal function of the hind gut will ultimately impact the synthesis of biotin. Bluegrass Horse Feeds Flax Plus has been formulated to promote hoof quality whilst promoting a healthy immune system, it is ideal for the restoration of cracked or brittle hooves. Fortified in flaxseed which is high in omega-3 fatty acids known to boost the immune system and promote a healthy, shiny coat.